Obsessed with Scrapbooking: Christmas Card Ideas - Week 3 Magic Monday and Giveaway! Christmas Card Ideas - Week 3 Magic Monday and Giveaway! Welcome to week three of Christmas Card Ideas - Magic Monday! Here's the giveaway this week! 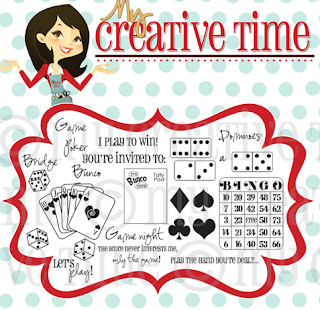 One person will win the latest sets of My Creative Time's Stamps! What if you NEED these stamps right now (and you know you do...LOL!)? You can order them by clicking here: My Creative Time Stamps. 1) Cut an 8-1/2" x 11" piece of kraft cardstock in half lengthwise to make cardbase. Use one of the halves and fold that in half. 2) Adhere 4" x 5-1/4" white piece of cardstock to inside. 3) Cut a square of 3" x 3" red cardstock. Cuttlebug a square of 2-3/4" x 2-3/4" of white cardstock using the Snowflake folder and then adhere to red. Add strips of torn white glitter paper for snow to bottom of white section as shown. at 1-3/4", all layers, as shown and adhere together. Add gems as desired for nose and eye. 5) Adhere mouse to red and white square. Pop dot onto front of card. 6) Stamp sentiment from My Creative Time's Mixed Holiday Sentiments set onto white cardstock using red ink. Back with piece of red cardstock cut at 1" x 3". Add red brads. ; red, kraft, pink, brown, patterned pink, green and white cardstock; white glitter cardstock; pink gems; red brads; My Creative Time's Mixed Holiday Sentiments; pop dots. What a cute card! And I don't do digital scrapbooking or photo books. I just can't seem to get into digital scrapping. I like to touch the paper and all of the embellishments and photos! WOW, your card is just so cute!!! I don't do scrapbooking at all. Adorable card, I have done some digital scrapbooking but really prefer the regular old scrapbooking, love playing with all the tools and papers. Cute card! I haven't really done any digital scrapping, but I've done the photobooks. I think I prefer the old-fashioned, hands-on style. I love the paper and glitter and stickers and die cuts! I've dabbled a little with digital scrapbooking but I'm going to stick with my papers, die cutting and adhesives. Just purchased the Wacom Bamboo Craft Pen to make it even easier to digital scrapbook. I rather scrapbook, but digitally is easier to share with friends and family. I do all things crafty...so yes i digi scrap and make photobooks online...in addition to my paper crafting. I prefer paper scrapping but i also love the ease of making duplicates and how thin printed photobooks are. By the way....Love the card post! That is just the cutest card....and the stamps are out of this world! That mouse is so cute! I don't scrapbook anything. We have a digital photo album but it's more like storage that the grandparents can see. Your mouse card is just adorable. Thanks for the chance to win those really nice stamps. I have been playing with the idea of digial scrappin but just cant bring myself to do it. I love creating traditional photo scrapbooks. Thanks for all your creative ideas. Cute card! You are so dear to share your creations with all of us. Congratulations on your new Design Team. You will all have lots of fun. I do some digital scarpbooking, but not as much as paper piecing. I'd love to win the stamps, thanks for the opportunity! I just started my first photo book. Thanks for the chance to win those awesome stamps. I love your ideas!!! It makes me want to do nothing but scrap!!! I mainly prefer doing the "hands on" scrapbooking, but I have done a couple of digital books (one through CM). Have a great day, and keep the ideas coming! Oh my those cards are super cute. I really need to learn more on the digital thing. Thanks for the ideas. very cute card - I have just started digital scrapbooking, but have a feeling I will enjoy it after figuring it out. What an awesome giveaway. I am already subscribing to your blog and enjoy getting your new post everyday. Have a great Monday. Fun card! Reminds me of one I made with a similar sentiment of "heart felt", and I added a heart out of red felt. Using paper now, and someday hope to add digital albums to my list, too. Thanks for showing the latest great stamps -- so fun! Your card is adorable. Emma's giveaway sets this week are amazing!!! I do a bit of digi scrapping but I prefer paper scrapping. I love to play with the paper and all the other stuff. I get tired of sitting in front of my computer when I digi scrap. Super card! That mouse is adorable! I love the contrast of the colours against the kraft cardstock, too. I just downloaded a digital photo scrapbook kit last week and have played with it a bit. I'm excited to learn more as my goal is to create a book for my mother. I would love to win this set! I have played around with digital scrapbooking but I am a paper scrapper at heart--I just enjoy the creative process more. However, I have created digital scrapbooks especially when I get a freebie through snapfish. I've never digital scrapbooked so I do it the old fashioned way and love it. Besides, most of my pages revolve around the use of my Cricut. We're attached at the hip. LOL I love that mouse cut you used on your card. I used it on a couple of Christmas cards last year and I've used it for birthday cards, too. It looks so cute against the embossed snowflake background. Darling card. I've done Photo books. Just did one for the HONOR FLIGHT I was on!! Love your card. Yes If I do a scrapbook page it is digital. I love digital photo books also. I would love to have this stamp set. I do paper scrapbooking, but I've done digital photo books for my inlaws in the past. I love the card! Now I will get out my Winter Frolic cartridge. I scrapbook, make cards, and do other paper crafts, but no digital. I use some digital images for my cards, and enjoy coloring them with my Copiecs, but con't use printed paper or accessories. Love digging through my paper stash. I love the photo books. I occasionally do a digital scrapbook page to include in it because it offers me more layout designs. I love, love, love making mini albums. I love the feel of the paper and photos together. Fun give-away! I would love to win. I just entered the world of digital scrapbooking and I like its quicker turn around. But, I don't think I'll ever give up making cards with my Cricut! Thanks for the chance to win some great things. Love this simple little card! Thanks for some inspiration :) I really need to start my Christmas cards. I have made a few photo books. I have not tried digital scrapbooks but think I may give it a try! I do photo scrapbooks (I really need to catch up on) and make cards. Ide like to try digital scrap booking but dont know if I want to invest in software. Id also like to do some altered art,pillows ,t-shirts, home decor and work with vinyl. What an adorable card, thanks for sharing and for a chance at a give away. I'm trying to learn more about digital, but I love to play with my paper crafts. I love to do traditional style albums. The digital can be pretty, but nothing beats the texture and the joy of cutting and glueing. I've done digital scrapping in the past and enjoyed it but I always return to tradional scrapbooking. I just love getting inky and making a creative mess! He is way too cute - and I can see you used torn glitter paper - right on!! I love these sentiments and love your stamps! The touch...the feel...of paper. I'd have to say the photo books. If I can quit wiggling so much, I will try to sit at the computer long enough to do digital creations! What great stamps. I do a little digital scrapbooking with Photoshop Elements. I have made a photobook using an online service that turned out very nice. I still prefer regular scrapbooking though :) Thanks for an opportunity to win. what a cute little mouse! Thanks for the chance to win some stamps! I do not do any digital scrapping. I am not that confident with my computer skills! I am a paper scrapper but will do the occassional photo book when in a pinch. Your card is so cute and what a great give-away. Love the stamps. I have never gotten into digital scrapping. What a great card, thanks for sharing. I have done both digital and paper scrap-booking, but prefer the real deal. I need to touch and feel the project and am a paper "collector". Again TFS. I don't digiscrap - but I love the photo books. I made a couple for some folks that were a special part of my wedding both using my YourStory and also preprinted from Walgreens (love their free coupons). On the preprinted I like to mix in my own embellishments & journaling and even some printed photos. Your mouse is sooo cute Joy - really like the glitzy & embossed snow combination - gives it great depth! Thanks for sharing. 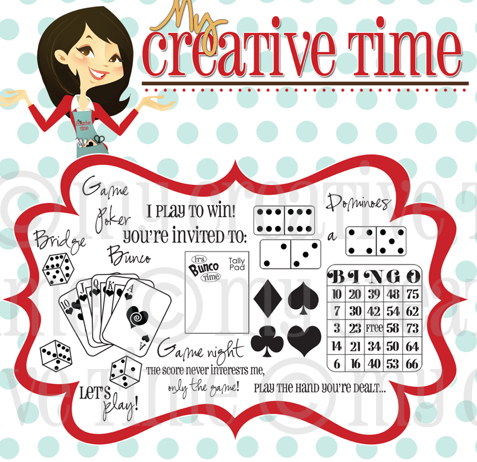 Ooooh would love all those My Creative Time goodies - Emma Rocks!! Very cute card--I don't know how to do digital layouts or photo books. I love making photo albums but do not do digital scrapbooking. thanks for a chance to win your awesome stamps. I do both digital and "real" scrapbooking. Sometimes I'll do the journaling on the computer but other times I'll do a whole layout. Love all of the new stamps! Love the new stamp sets, thanks for the chance to win! 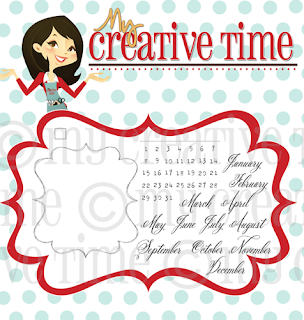 I have not tried digital scrapbooking at all but I have printed out some digital elements and used them on my pages. When it comes to digital scrapbooking I just haven't made the time to play with a program that I purchased. It looks like lots of fun, but I just haven't tried it yet. Digital is the next step in crafting for me, I really want to learn how to use SVG (?) files and all the really cool stuff on Lettering Delights. I'd be so stoked if I won these wonderful stamps. Thanks for the chance. I actually still do the tradition scrapbooks. Do my christmas cards as mini scrapbook pages (4x6) digitally so that my family and friends can see a few pictures of my children. It is also cheaper then make cards or even buying them! I am a stamp addict! Thanks for sharing this great giveaway! I do all kinds of paper crafting, which includes digital scrapbooking. I have made 2 digital books so far and many other hybrid projects! Thanks for sharing the cute card. I don't care for digital scrapbooking. Love the stamps! I've dabbled in digital scrapbooking but I'm much better at the hands on gettin messy stuff. I do not digi scrap or make photo books. I have been looking into doing that though since a friend has interest in it. What cute mousey card! I don't do much digital stuff....journaling and dingbats maybe a little. Love that banner set! 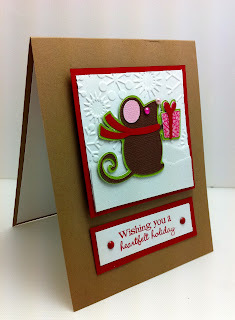 That's such an adorable card - love the mouse and the snowflake embossiing! I'm excited about your design team - can't wait to see what they do! I love your stamps! I have done a couple photo books, but I prefer the old fahshion scrapping. Thanks for the chance to win. Basically I do a lot of digital scrapbooking, but really love doing hybrid scrapbooking--combing both digital and traditional. For Christmas each year my 3 daughter-in-laws get a 20 page scrapbook of the last year's events. Digital makes it easier, because I can create the same layout (I used Photoshop Elements) and just change with their respective family pics and journaling. I could never do this the traditional way. This mouse card is darling! I have done some digi scrapping in the past, but I prefer real paper and embellishments. I have done a few digital cards, but still prefer to craft by hand. Very cute mouse on your card. Thanks for great giveaway offer. I'm just starting to get into stamps. Still not that good. I still do not own any sentiment set. I started with the small dollar stamp sets(Inkadinkadu) from Michaels and JoAnns. Thanks for all yur great giveaways. 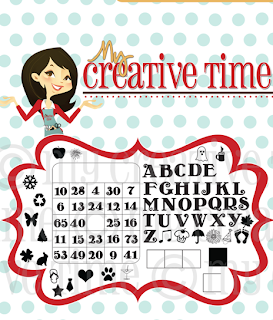 I haven't tried digital scrapbooking but want to try. I make photo books. I have never tried the digital scrapbooking. I don't digital scrapbook, but I am intrigued by maybe learning how to use digital elements to mix with my traditional scrapbooking. I do photo books. Tried Digital but since I sit at a computer all day long, it wasn't fun to do that as my hobby as well. Besides,I LOVE to get all inky, gluey, and to FEEL and SMELL the paper...yes, I'm a true scrapper through and through. Thanks for all the inspiration you give us! I haven't mastered the digital scrapbooking yet. Maybe after I retire and I have time on my hands I'll get a chance to put more time into that. I am a librarian so I really like to feel the paper in my hands. Love the cute Christmas card. Thaks for the instructions! I love your blog...especially Mondays! I do card making and photo books....digitally doesn't do it for me because i need the tactile feel of papers and embellishments! Thanks for today's inspiration. I'm old school - I scrapbook with virtual papers, etc. Thank you for the instructions on how to make that darling card! Digital scrap booking is ok...but I like paper better. Thanks for the chance to win. I like photo scrapbooking. Thanks for the chance to win a great prize. congratulations to all the new design team members can't wait to see all the great ideas. Love your card. I love the paper and glue type of scrapbooking. I am a hands on crafter. Thanks for a chance to win. I posted a double page layout using the various cartridges on the layout. I am a cardmaker and love digis. I also do alot of Cricut cards. Thanks so much for the giveaway. 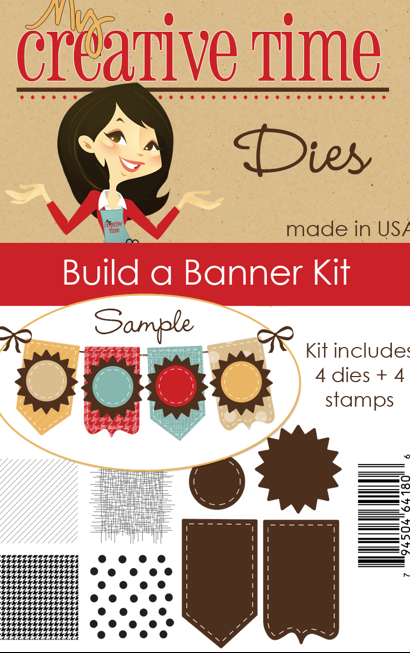 I would LOVE to win the banner maker as I saw someone put a banner on a gift card holder and I would love to do that. I am a long time subscriber and look forward to your emails as it inspires me to make great things. Great ideas. Love the cards. LOVE the card - and absolutely ADORE Emma's stamps!!! I will definately be ordering from this release soon!!! I do both. I like the cut images best of all... I like to stamp also and color the images. Such a cute card. Love th banners on the stamps. I like the digital elements for card making and other paper projects, but I just can't get into digi scrapbooking. I do paper scrapbooking, and sometimes I print out things like digi headers or make embellishments out of digital things, because I don't like to put metal in my books. Love the little mousie! This card is so cute! I am already a follower. I have just begun to digital scrap. I am not sure how, so I am learning as I go. I would LOVE to win any of your prizes. Thanks! Cute card. I don't digi scrap and I made a couple of photo books as gifts. I love to paper scrap. Although with my current space constraints I should probably go digital. Thanks for the opportunity and can't wait to see the designs. Such a cute card!! I actually don't do digital scrapbooking i have sent away for a photobook to be done at Shoppers Drugmart photo lab.I prefer the look of making layouts and scrapbooks by hand(well in this case the cricut)I would love to win Emma's stamps, thanks for the chance !! I love making photo books but have considered digital scrapping. However, I'm a bit intimidated by the whole process and get somewhat overwhelmed so I end up dropping the idea. Love the banner stamp set! Your card is soooo cute! I do photo books. Thanks for the chance to win all these awesome stamps. I've been wanting some of these. It would be great to win! I love the little mouse you used, so cute. No, I do not digi scrap. Would love to but it's all I can do to paper scrap. And I just started getting into card making. Love your blog, thanks for sharing and a chance to win the stamps. I have not done any digital scrapbooking but I have made a couple of great photo books, they were a great way to share our travel pics with other family members that travelled with us!! I dont digi stamp. very cute card love the mouse. thanks for the chance to win. I like these stamps! Adorable! 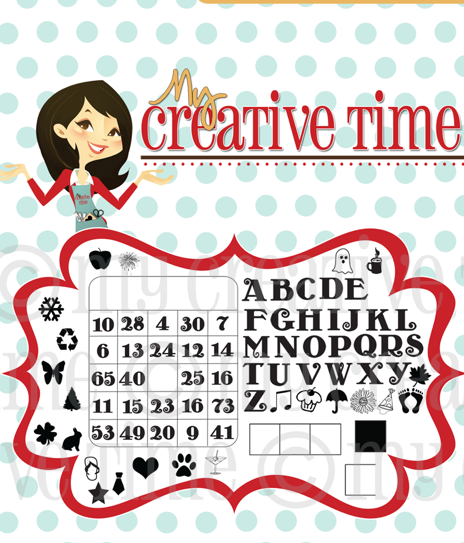 I have tried digital scrapbooking but I prefer to do the old fashion way. The only time I would consider doing digital is when I have a crazy amount of photos. So cute and looks so easy. I bet you have all your Christmas cards done already. You sure do enough on your blog all year so you probably end up with enough for sending at Christmas time. I need to start mine. I adore the mouse card. Too cute. I haven't tried digi stamps yet but might in the future. Scrapbooking is such fun. I, too prefer hands on. The photo books don't always have what I imagine I need. Thanks for the chance to win. I do a teeny bit of digital scrapping, but really like to do photobooks. CM are my favorite - I love their software! I <3 your adorable mouse card!!! And that is why I don't do but 1 digital photo book per year. I really like the textures and 3 D images we can make with stamps, and dies, and such. Thanks for coming up with such great images on your!!! I love that mouse card! So sweet. I don't do digital scrapbooking. I prefer to use my Cricut and cuttlebug and embellies. Thanks for a chance to win. I love your card. Such a cute mouse. I don't do digital scrapbooks but have entertained the idea. I just don't know if I would like to look at a page of pics. I like traditional scrapbooking because of the dimension. I prefer to do my scrapbooking by hand. I just got into making mini albums and hope to make several for Christmas presents. Thanks for the chance to win these awesome stamps. Oh my that is such a cute mouse card. Thanks so much for sharing with us. Oh I love to scrapbook my layouts and also do some digital layouts...I am more of a hands on projects. Love the Banner Stamp Set! Thanks for a chance to enter and win. I love Photo book..I can't get pass the digital not being my idea's for embellishments. I just scrapbook the old-fashioned way. No photo books or digital scrapping for me. Thanks for the chance to win these great stamp sets! Such a cute little mousie and I am strictly a paper scrapper! Your card is too cute! Awesome prize!!! !I do need them all but for now will keep on wishing to be lucky and win them ;)have a happyandcrafty day! Very cute Christmas card! Thanks for the chance to win these great stamp sets. I do the traditional scrapbooks; I haven't gotten into the digital yet (and I have so much paper and so many embellishments that I don't want to lose my investment in them). What a super cute card! Thanks for sharing! I have made a few photo books and I love them! But, nothing beats a real scrap book! Thanks for the chance to win! When I think of Christmas cards..I think "production"! Want to make alot of the same card. This card is one that would work. Clean design and not too many tiny parts! Very cute card. I haven't gotten into digital scrapbooking yet but I do like traditional scrapbooking. Cutie mouse! I have to break that cart out. I don't digi-scrap, but have made photo books. Thanks Joy! I have done photo books, but nothing beats playing with real paper and embellishments! I scrap both digital and traditional.Would love the chance to win. Thanks. Love your card! So cute and colorful! Yes, I've done photo books ~ so much quicker than traditional scrapbooking. Oh my gosh, I love those stamps! How cute are they?!?! I've never heard of them before, so thank you for bringing them to my attention :). I do paper scrapping and card making. I am a paper scrapper! And because of that I would LOVE to have these stamps - they are so cool! Thanks for the chance to win! I have not tried digital scrapbooking as I really like doing "hands-on" things. I do find digital scrapbooking interesting though and will probably try some in the future. I don't digital scrap but I do photo books of only major events like my kids birth, birthdays, etc... That way I can put more pictures in my layouts and write a lot more for my journaling. I love making photo books for friends. They are always so surprised and love them. I do the actual photo scrapbooks. I just got a cricut last week and found you via youtube! Your tips/tricks were amazing! thank you!!! I have chronicled over one hundred years of our family history in about 70 photo albums. I just scrapbook the old-fashioned way, love your card! I have never done a digital scrapbook page. I am more of a traditional paper scrapbooker and love it! Emma's stamps and dies are awesome! I don't do digital or hard copy scrapbooking. My favorite is card making with stamps and my Cricut. What a cute dog card. I love the card you made. I just recently started digital scrapbooking and I love it! It's nice to do when you have a little bit of free time! Your mouse card is too cute! I do more of a hybrid scrapbooking. I have been making 4x6 calendars with my granddaughters picture each month. I have WAY too much paper to get into digital, but I love making photo books. I love your work! I do both digital and photo books! It's a blast! What a fabulous giveaway!! I no longer scrap, so my favorite project type is cards. Love your card. I dont do digital or photo book scrapbooking. Im still old fashion lol Im already a follower. Love your card, especially that little mouse! I have made photo books in the past of my son's school artwork. They turned out great - I have a picture of all of his different art projects now without having to keep the actual artwork! I do picture books but I have tried a couple of times at digital. I just like the hands on feel more then using a computer to design with. I don't do digital... Still love paper too much snd creating with it. Planning on trying photo books soon. I've never tried the digit scrapping. I prefer to be able to use all the different tools and paper! Theres just something about using your own hands to make something. Thanks for the opportunity to win!! Love the card above!! Cute card. I haven't tried digital yet. I haven't ventured into digital scrapbooking or making photo books, but I've been reading upon the YourStory machine. Thanks for the chance to win. 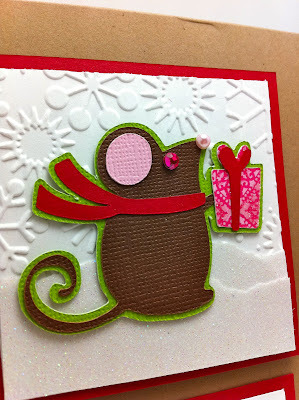 I love this whimsical mouse..such a cute card. i am definitely a photo book person. After taking one digital class, I decided it was way beyond my computer abilities. This stamp set would be an amazing win...each is so wonderful!! I want to do digital scrapping, I even bought CM's Storybook Creator, just haven't completed anything with it yet, other than making my son's graduation announcements. I did work with my sister's-in-law to complete a Shutterfly book for my in-law's 50th Wedding anniversary. Love the My Creative Time stamps, they are so cute! Oops! I was so excited about the prize, I almost forgot: No, I have never tried digital scrapbooking or making photo books...I think I am too into embellishments to give it a try (love the bling, flowers, & anything that gives it lots of dimension...)! Cute card! I am already a follower! I don't do digital scrapbooking or photo albums---I am a very textile person and need to touch and feel the textures and different layers!!!! I make photo books. I would like to try digital scrapping, but my children tell me to stick to the book making because I am not very techno savvy. :D Also, I really like the hands on of the scrapbook making. Your christmas mouse card is ADORABLE! Once again you brought us a great inspiration!! I like to make photobooks for my children.Thank you for the chance to win.I am a follower. I am a paper scrapbooker. I've thought about digi but I just love the feel of paper and going to the stores and looking at the new products. Cute card! I've never really tried digital, but I'm old-fashioned, so I think I'll just stick with regular scrapbooking. I make Year-in-Review photobooks as Christmas gifts for the grandparents, but for the family scrapbooks I like the feel of paper, so haven't gotten into digital. Very cute Christmas card!! I haven't tried digital scrapbooking, but I'm working on a brag book for my daughter's bowling team coach. I have done both... but not with much luck! Standard LO's work best for me! I just love the card that you made!! I make photo books and scrapbooks. I do both. Thanks for the chance to win Emma's stamps. I love them. I have done a few photo books but not really any digital scrapping. I've done both digital scrapbooking and photo books, but I do love the traditional way. Very cute card. cute card. i've done a little digital scrapping, but i much prefer traditional scrapbooking. Such a cute card. Love that mouse! I don't do digital scrapbooking, but I love to do photo books. They are so easy and you can make them as simple or extravagant as you'd like. Thanks for the chance at this amazing blog candy! I haven't jumped on the digital bandwagon yet. I've come close for the photobooks though ... just never went for it :) Maybe one day!! I have done both digital and traditional scrapping. Mainly traditional but as of late I have been trying to catch up so I have been doing more digital. Love the card. Cute card! I love all of the detail! I don't digi-scrap, but I have made photobooks from Shutterfly/Snapfish for my wedding and honeymoon! I still made a traditional wedding scrapbook (and will make a traditional honeymoon one). Oh My Goodness! 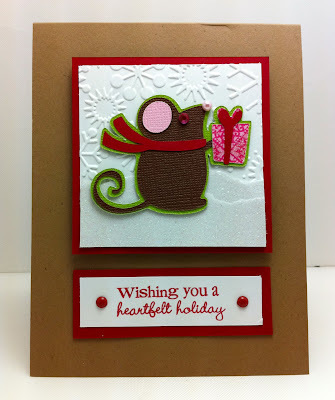 I love that little mouse - just used him on a Layout. I want Emmas new stamps Sooo bad. I love the banner set and the everty day bingo. You guys are awsome for letting us have a chance at them!!!! Your card is sooo cute!! I don't do digital. I stick with traditional scrapbook pages. Thanks for a chance to win. What a fab set of stamps!!! Serif Digital. Its lots of fun. I also use Smile box they have terrific themes and just so much to choose from. Love your cute little mouse card! I do photo scrapbooking and cardmaking. I don't really like digital scrapbooking ~ I prefer to play with the paper and tools, color images, etc. I'm a paper junkie! Thanks for the chance to win these awesome sets!! !